Fantastic place to be! Big appartement clean and great service. Spacious room with everything you could need, cool and comfortable in a nice quiet area. Friendly and helpful host, classic Cretan hospitality! Excellent value to. 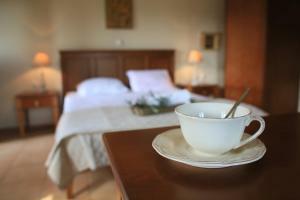 Five-star apartments, Everything was at the highest level: comfort and cleaning! I recommend to all my friends! 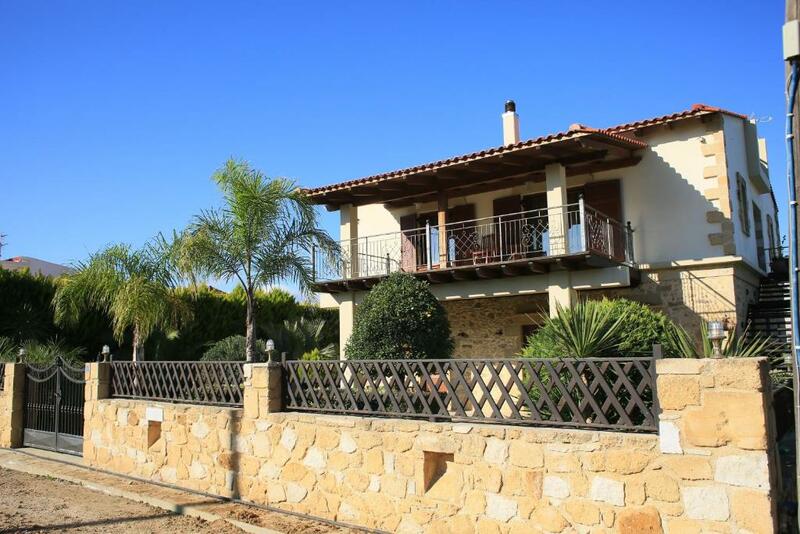 Amazing location, perfect for going to Balos beach, Elafonisi, Falasarna etc. Close to very good restaurants, supermarkets, health centre, gas station, everything pretty much. Very very friendly staff, everything was cleaned on a daily basis. Beautiful accommodation with everything you could ask for, even washing machine and a proper kitchen to cook. 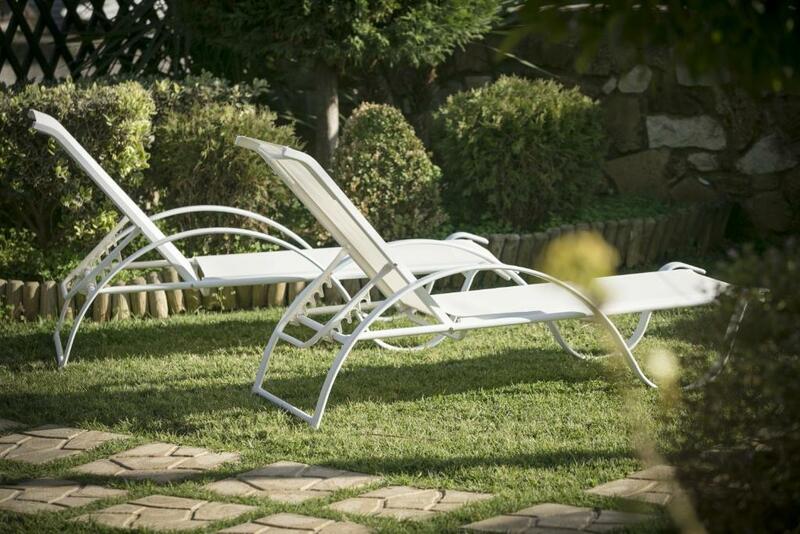 Amazing garden with chairs, tables, and even sunbeds. Hosts are extremely kind. The apartment itself is very spacious. There is a nice garden to chill. Very very clean and convenient apt. Quiet location. Easy and free parking. Nice decoration. Very well equiped apt. Window nets everywhere. We could keep windows open - no need for a/c (although available). AAA+ stay. Highly recommended! Beautiful Studio in a nice House. Perfect contact with the owner. I will come back! Thank you so much to the family. The apartment was very good. There was everything you could need. The kitchen was fully equipped. No problem finding the place. And the hostess was very friendly. One bedroom apartment provided very spacious accommodation , with nearly everything needed for a self catering stay. The location was very convenient for the beach and town centre. Cleanliness ranked highly and towels etc changed regularly. Had an upstairs apartment with balcony, and it had more than enough room for us. Check in was a simple phone call on arrival, the host lives next door. The studios are located in a residential area of Kissamos, which could be described as a little run-down as a town, but we liked it's real-world charm. 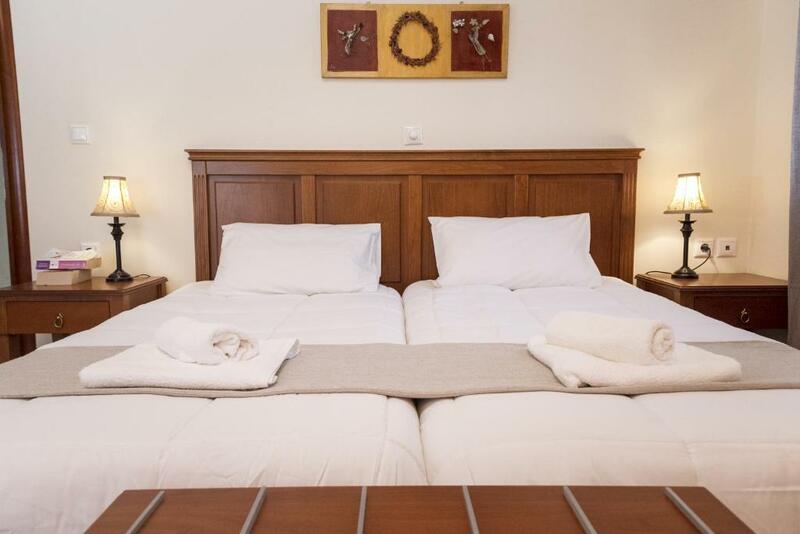 The apartment has all the facilities you are likely to need for your stay, kitchenette and oven, washing machine, satellite TV and decent Wifi. Kissamos is an ideal base for exploring the West side of the island and has a selection of places to eat and drink, with a large supermarket in the town. There are a couple of beaches nearby, one we found we had to ourselves all day. Lock in a great price for Secreto Studios – rated 9.3 by recent guests! Featuring access to a spacious garden, Secreto Studios is centrally located in Kissamos and offers self-catering accommodations, only 2,300 feet from the beach. The property is 2.1 mi from Kastelis-Kissamos Port and 2,300 feet from Kissamos Stadium. Free WiFi access is available. The air-conditioned apartments and studios feature a living area with a sofa and a flat-screen satellite TV. 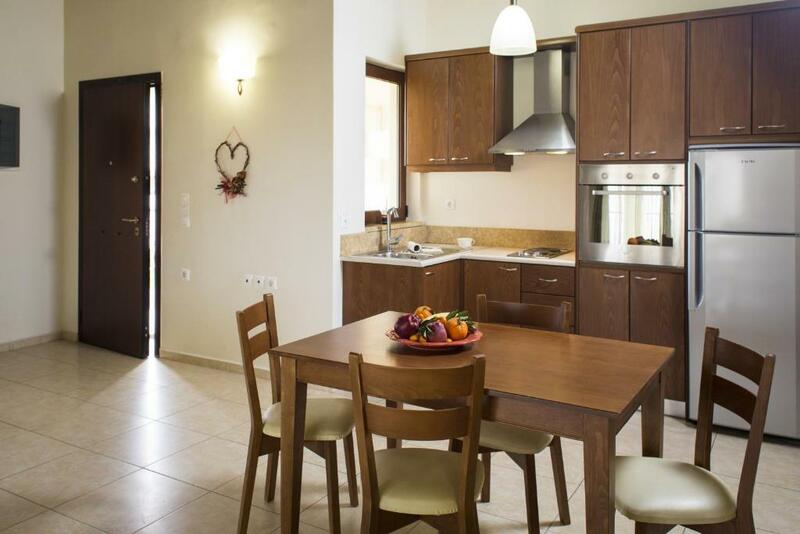 The fully equipped kitchen or kitchenette offers an oven, a refrigerator and kitchenware. The private bathroom has a bath or shower, a hairdryer and free toiletries. Groceries and restaurants can be found within 1,000 feet of the property. Souda Airport is located 35 mi away. The property offers free parking. 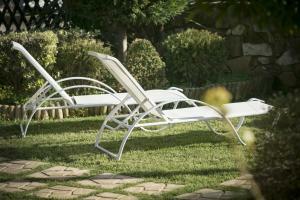 When would you like to stay at Secreto Studios? This air-conditioned apartment features a balcony with a city view, and a living area with a sofa and a flat-screen satellite TV. The fully equipped kitchenette offers an oven, a refrigerator and kitchenware. The private bathroom has a bath or shower, a hairdryer and free toiletries. It also includes an armchair that turns into bed. This air-conditioned apartment features a terrace with a garden view, and a living area with a sofa and a flat-screen satellite TV. 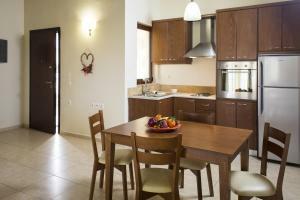 The fully equipped kitchen offers an oven, a refrigerator and kitchenware. The private bathroom has a bath or shower, a hairdryer and free toiletries. This air-conditioned studio features a balcony with a garden view, and a living area with a sofa and a flat-screen satellite TV. The fully equipped kitchenette offers an oven, a refrigerator and kitchenware. The private bathroom has a bath or shower, a hairdryer and free toiletries. This twin room features a tile/marble floor, toaster and air conditioning. The Secreto mansion is an integral part of the architectural heritage in the area of Kissamos (Kisamos). The real estate dates back to the late 1880’s. It is built following the architecture of the time with stone, forming arches, dents in the walls and special corners inside and outside of the building. 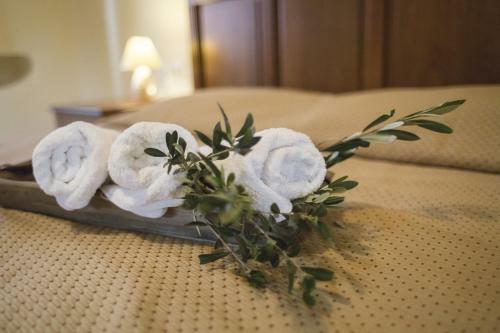 Annousakis family renovated it completely with absolute respect in the architecture and tradition, and equipped it with all modern amenities that guarantee an authentic and pleasant stay at Kissamos (Kisamos). Choose one of the fine, autonomous apartments and enjoy unique privileges with the warmth and unpretentious hospitality offered exclusively by the Annousakis family. Hello! I am Niki and my husband is George. We are a couple with two teenagers. Our daughter Chrisa is 18 years old and loves dancing and our son George is 22 and is studying in a nearby city. Secreto Studios & Apartments, is located in a quiet neighborhood of Kissamos inhabited mainly by locals. The manor house is just 5 minutes away on foot distance from the city center and 10 minutes from the beach. House Rules Secreto Studios takes special requests – add in the next step! Secreto Studios accepts these cards and reserves the right to temporarily hold an amount prior to arrival. Please inform Secreto Studios of your expected arrival time in advance. You can use the Special Requests box when booking, or contact the property directly using the contact details in your confirmation. There is simply nothing to improve! A little disturbed barking dogs at night, otherwise everything is excellent! Kitchen utensils require a bit more cleaning. The dogs in the neighborhood barking all night long. Had a great time here, however it is tricky to locate the apartment among a one-way system maze! Very kind and helpful staff. Large, nice, clean and spacious apartment with huge balcony. Fully equipped kitchen. Bathroom with washing machine. Good WI-FI. Very beautiful building. Very nice location in a beautifully renovated building. Freshness and comfort. Bedding very comfortable. Garden very nice and very well maintained. Warm welcome and owners available. To book without hesitation!